Purists use cognac as the main spirit and so did bartenders in the 1850s, until phylloxera ravaged French vineyards and the American Civil War made the sourcing of cognac something of a triviality. It was replaced by whiskey and to this day some prefer the double booze hit to be propelled by the grain not the grape. 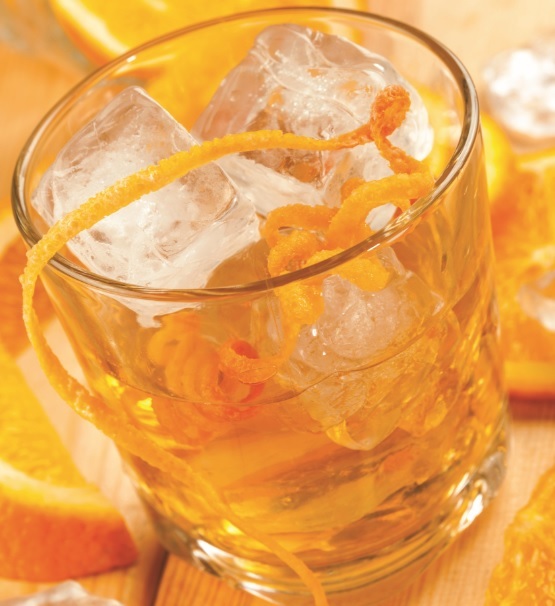 At our bars, it was American whiskey, namely Bulleit, Sazerac or Rittenhouse. Rimmed with absinthe, a sniff tells you this is not a session beverage. This Cuban classic might be a cocktail loved by the indiscriminate masses but it is still a fixture in the world’s best bars. More than a third of bars polled said it was among their top 10 sellers. Unsurprising, despite the sniffs, it remains a true classic. At its Havana home, La Bodeguita, it is made with rum, lime juice, soda, brown cane sugar, fresh mint and ice. Whatever the white rum (there’s a bit of a thing between Havana Club and Bacardi here), it should be of Cuban heritage, the greenery is best in spearmint form and the sugar dissolved, rather than granules that unpleasantly lurk deep in the glass. But that’s just us. Perhaps a symptom of thawing attitudes towards vodka, the ice-cool Moscow Mule has risen from 12th to ninth to eighth in the past two years. It’s a crowd-pleaser in more than a third of our 100 bars, with popularity seemingly springing up from the US. Essentially this is vodka’s answer to the Dark ’n’ Stormy and is housed in the kind of copper mugs that make vodka, lime, ginger and soda a happy marriage, even outside of happy hour. Still, one for the less adventurous punters. The Margarita is frozen again at no.7 this year, though mostly not served frozen at the 40% of polled bars that said it was a top 10 best seller. Tommy’s is a four-time member of The World’s 50 Best Bars this year, so let’s drop by Frisco-way for a Tommy’s Margarita. Owner Julio Bermejo uses 100% agave tequila, plus fresh lime juice and agave syrup. Don Julio, El Jimador and Olmeca Altos were the three favoured brands in 2016, according to our poll. A surprisingly low placing for this boozy yet refined favourite, the Dry Martini was the top classic in one in 10 of our polled bars and among the top 10 in just under half. There are many bars that might claim to make the exemplar but Barcelona’s Dry Martini (multi-time member of The World’s 50 Best Bars) is one. The bar uses half and half gin to French vermouth, a dash of orange bitters, a squeeze of lemon rind and a green olive. If it’s a Martini for bar owner Javier de la Muelas, drop the lemon. Up from six to five is dependable staple the Whiskey Sour. 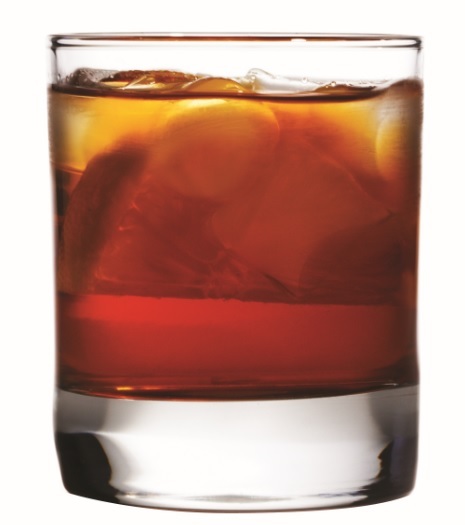 This simple bourbon drink is a top 10 favourite of nearly half our bars, though only two said it was number one. That’s not too surprising as this is an everyman’s drink, rarely a house signature. The recipe is bourbon, lemon juice and a teaspoon of sugar. Egg white is optional, but anything to add an extra dimension to this building-block drink seems worthwhile. Down one from last year, the sweet queen of cocktails with an embittered spirit was a top seller in more than half our 100 polled bars, which most frequently make this perfect match of peppery rye, bitters and sweet vermouth with Bulleit, Rittenhouse and Maker’s Mark. This classic is thought to be from New York, so where better to head for the recipe? Jim Meehan of PDT suggests rye whiskey, sweet vermouth and two dashes of Angostura, stirred with ice, strained into a chilled coupe and garnished with brandied cherries. The Daiquiri is the most ordered rum drink in the world’s best bars, so we should probably learn to say it right. It’s dy-key-ree. In Cuba, they can say it, and there is no better place to empty the glass than in Havana’s La Floridita. Take lime juice, white rum and sugar syrup. Shake, serve and repeat. Like the Old Fashioned, the Negroni has passed over the counter from bartender to customer to now be appreciated on either side of the great divide. It remains the second most drunk cocktail in our sample. Count Negroni had the first, but count the Negronis made at the world’s best bars and you’ll see why it is second on our list. Three-quarters of bars said this was in their top 10 classics and one in five pronounced it to be their most made. Don’t mess with the recipe, says received wisdom, including the sagely Gaz Regan. It’s a third, a third, a third of Campari, sweet vermouth and gin. Bartenders are not known to enjoy repetition, but the Old Fashioned, that vanguard drink of the classic cocktail revival, has been a fixture at the top of this list for three straight years. It shows no sign of waning – indeed, this American whiskey classic is gaining in popularity, says our poll. Three-quarters of bars said it was among their top 10 best selling classics and a third said it was their number one. Our bars opt for bourbon, but cocktail historian David Wondrich suggests rye would probably have been the likely choice way back when. He goes with: 1 sugar cube wetted with three dashes of Angostura bitters and a little soda, crushed, stirred with a large ice cube and two ounces of rye.